DbDefence - Truly transparent database encryption for MS SQL Server. DbDefence encrypts SQL Server database and hides schema from unauthorized access. From zero to 5 lines of code in your application! Click here to download Free Version ! SQL Shield is a program for protecting your SQL scripts from being viewed and modified by anybody. On the system without installed SQL Shield this function does nothing. Activecrypt Software is proud to announce the release of SQL Shield for SQL Server 2017 all editions. SQL professionals agree that the default trigger, view and procedure encryption that comes with MSSQL is ineffective and easily broken. In fact, Google generates over 3700 links for a search phrase “SQL decryptor”, offering dozens of software solutions that can bypass MSSQL native encryption. Yet, for many companies that use MSSQL for processing sensitive and confidential data, compromising the integrity of encrypted procedures or triggers is not an option. Here you can find such decryptors. We defeat them all! SQL Shield is a built-in tool for MSSQL, SQL Express and MSDE servers that offers hacker-proof encryption for triggers, views and procedures; none of the currently available SQL decryptors are capable of cracking SQL Shield encryption. Most importantly, all encrypted procedures remain executable! Moreover, installing SQL Shield does not affect any settings and does not replace default encryption options entirely. The users always have an option to choose which encryption settings to apply. How is encryption useful for me? you can protect the logic of your application from being viewed and copied. you can create reliable authentication mechanisms. 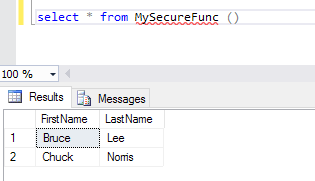 safely use passwords for another resources in stored procedures, views and triggers. you can increase your sales by applying licensing management for your software located at the server.